Crabs on Prozac are becoming aggressive, engaging in fights, and even killing each other while on the drug, scientists have discovered. Prozac is a pharmaceutical drug used to treat depression, and other mental health related conditions, in humans. To be clear, depressed crabs are not being prescribed Prozac by doctors (although the image of a crab lying on a therapist’s couch pouring out their problems is amusing), but they are ingesting it because Prozac can dissolve in sea water. Researchers at Portland State University (PSU), Orogen USA, have discovered that seawater near the coast can contain small levels of different chemicals ranging from caffeine to prescription drugs. So they investigated the impact of dissolved Prozac on the local crab population and discovered that when crabs consume Prozac they engage in risky behaviour which increases their chances of dying. Orogen Shore Crabs (Hemigrapsus oregonensis) exposed to fluoxetine, the active ingredient in Prozac, started foraging on the shoreline during the day, rather than at night, making them more susceptible to being eaten by predators. They were also more aggressive towards each other, picking fights and sometimes killing each other. 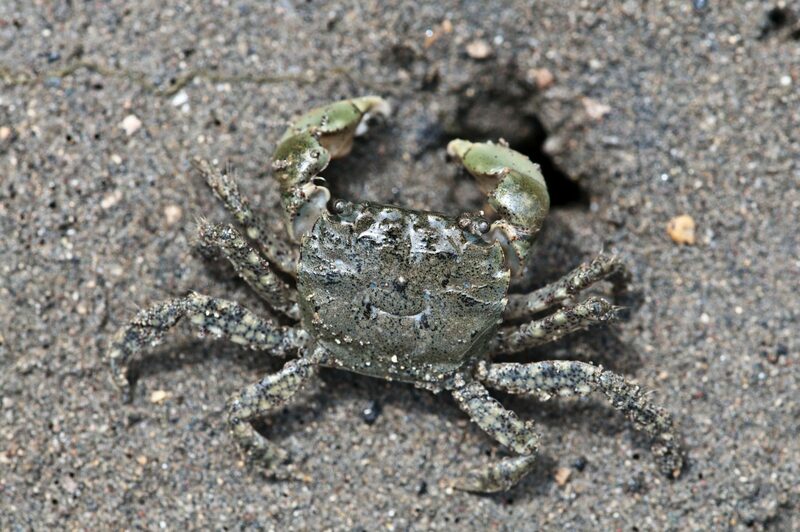 ‘The changes we observed in their behaviors may mean that crabs living in harbors and estuaries contaminated with fluoxetine are at greater risk of predation and mortality,’ said researcher Elise Granek, a professor in PSU’s department of Environmental Sciences and Management. The drugs are consumed by people, who then excrete the products in their urine, this then transported to the sewage system, where the waste is treated but the trace elements are not removed, and finally enter the sea. This study is important because it shows how drugs designed for humans can enter the environment and have significant impact on other creatures. For more freaky crab news, read about the men who harvest crab’s blood for money – Horseshoe Crabs Blue Blood.